Menjangan Tour Bali 4 days Tour Package will be the best Bali tour package one can wish for – Aling Aling Waterfall Tour, visit Menjangan Snorkeling Day Tour, Lovina Dolphin Watching, Jungle Safari Tour at The Menjangan – meet the swimming deer at Menjangan Island, Gili Putih, snorkeling at Underwater Temple Garden at Pemuteraan with a Buddha statues, relaxing on white sandy beach inside the West Bali National Park, travel around in the park with safari jeep.. In this Menjangan Bali 4 days tour package, you enjoy Bali like no one else would. We put up the best for you. Other Bali 4 days 3 nights Tour Packages , click HERE. 04.00pm: After Aling Aling Waterfall Tour, we will head to Lovina to your hotel. 06.00pm: Check in hotel, and watch sunset at Lovina Beach. Dinner at hotel. Tour ends. 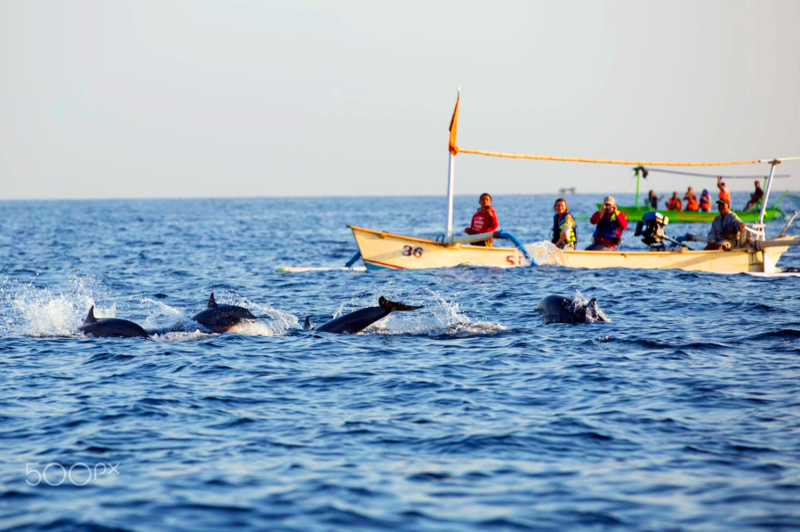 05.30 am: From your hotel infinity pool, get on to the boat and let the fun begin – spot wild dolphins jumping our from water during the sunrise at Lovina. 07.30 am: Back to shore. Breakfast at hotel. Check out hotel. 08.30 am: Check your snorkeling equipment at the diving centre and proceed to Pulau Menjangan, for a full day snorkeling tour at Menjangan Island. 10.00am: We will start our Menjangan Island Snorkeling Day Trip by snorkel at Reef Drop-Off point also known as Rock Wall or Dive Wall. 12.00pm: We will head to Menjangan Island. Lunch box will be served on boat. You can visit the Pura Gili Kencana & Taman Pingit Klenting Sari Temple when the boat stopped at Menjangan Island. 02.00pm: We will head to Coral Garden for snorkeling in Menjangan Island. 03.00pm: Head back to Pantai Putih Harbour. 03.30pm: Arrive at Pantai Putih Harbour, pick up and transfer you back to your hotel. 04.30 pm: Check in to your hotel at West Bali National Park. Tour ends. Dinner at own at your hotel. Day 3: Sunrise Tour at Gili Putih and enjoy the hotel facilities at West Bali National Park! 05.00am: Pick up from your hotel and we will visit – Gili Putih (white sand Island) for sunrise with boat. 07.30am: Back to shore. Pick up and back to hotel. And, breakfast at hotel. 09.00am: Pick up from hotel and we will do another 1 hour snorkeling at Menjangan, we will be doing the snorkeling at Underwater Temple Garden at Pemuteraan. Description: There are a lot of fishes and corals with several Buddha statues, covered in newly formed corals. 11.00am: Back at hotel. Rest & Relax. Free & easy at Bali West National Park and enjoy the hotel activities and facilities. Spot the wild deer, sunset over the view tower, safari tours in the hotel compound which located right in the West Bali National Park. NOTE: Dinner and lunch at own expenses. Day 4: West Bali National Park - Bedegul Temple then back at Kuta/Seminyak! 01.00pm: Lunch at Mentari Retaurant at Bedegul. 02.00pm: Visit Bedegul Temple and Bedegul Fruit and Foods market. 03.00pm: Drive back to your hotel in Kuta/Seminyak/Ubud. 00.00pm: Arrive at your hotel. Tour ends. Accommodation x 3 nights as per itinerary, and 2nd and 3rd night- Can choose The Menjangan or Menjangan Dynasty Resort, Beach Glamping and Dive Centre. English speaking Tour Guide x 1. NOTE: If group size less than 4 person. You will be accompanied by one x driver guide only. Tour guide and driver accommodation, meals and salary. Menjangan Island Snorkeling Day Trip as per itinerary. Visit Gili Putih(White Island) with boat during sunrise on day 3. Snorkeling at Underwater Temple Garden at Pemuteraan with a few buddha statue. West Bali National Park entrance fees. Luggage handling during transfers of hotels. Tipping to driver, tour guide, boat man and snorkeling guide. Additional charges during your Aling Aling Waterfall tour. We include the Short Trekking, if you wish to take the Medium Trekking and Long Trekking, additional fees will be at own expenses. Visit Aling Aling Waterfall, which is the best waterfall in Bali – Cliff Jump, Sliding, swimming.. all the fun one can wish for. 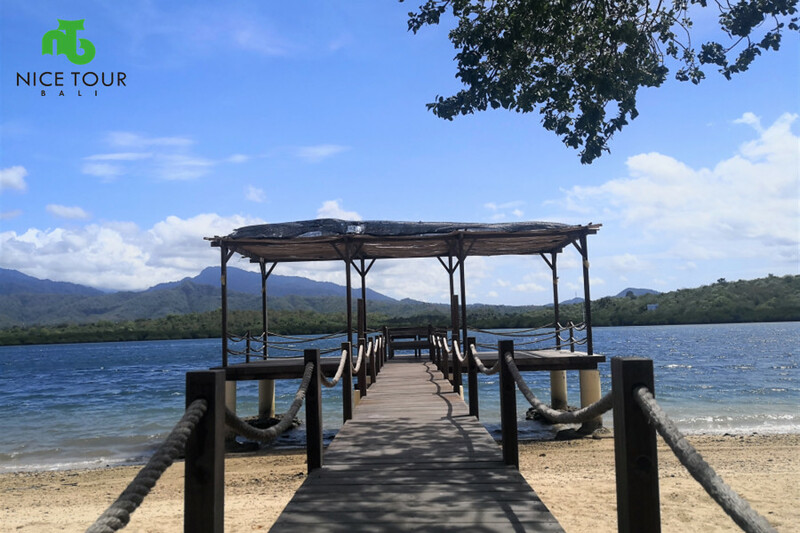 Stay in The Menjangan – located in West Bali National Park with facilities of mangrove, wildlife(deer on the private beach), horse stable, dramatic forest canopy deck, Bali Tower view point of West Bali National Park and the panoramic view of Menjangan Island across the ocean. Snorkeling in the word-class diving spots – Reef Drop-off point and Coral Garden at Menjangan. Visit Menjangan Island with amazing landscape and cliff top view. 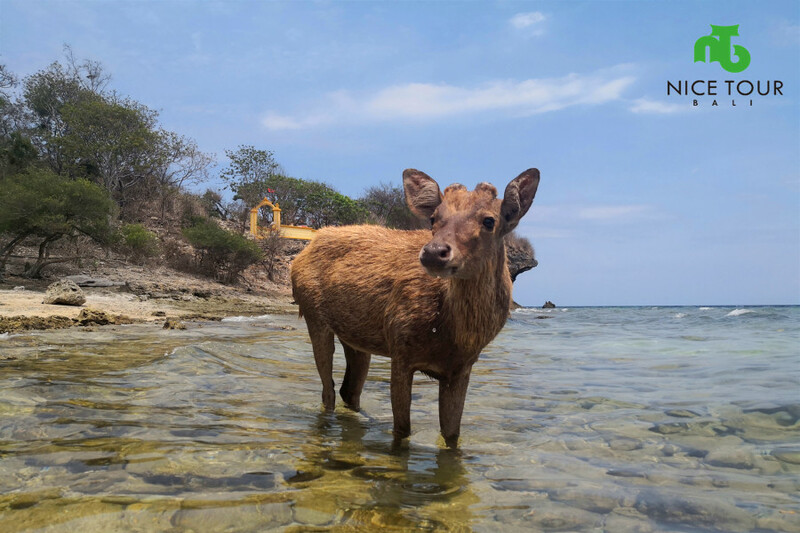 Meet a lot of swimming “Menjangan” / Deer. Visit Gili Putih(White Island) with boat during sunrise.